New shampoo I bought promised to increase the volume of my hair. 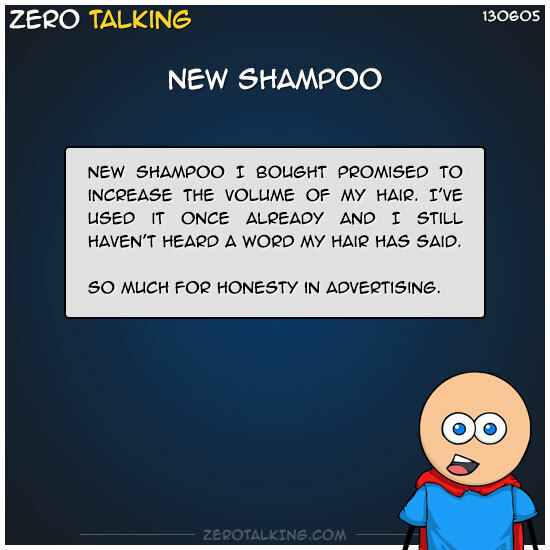 I’ve used it once already and I still haven’t heard a word my hair has said. So much for honesty in advertising.